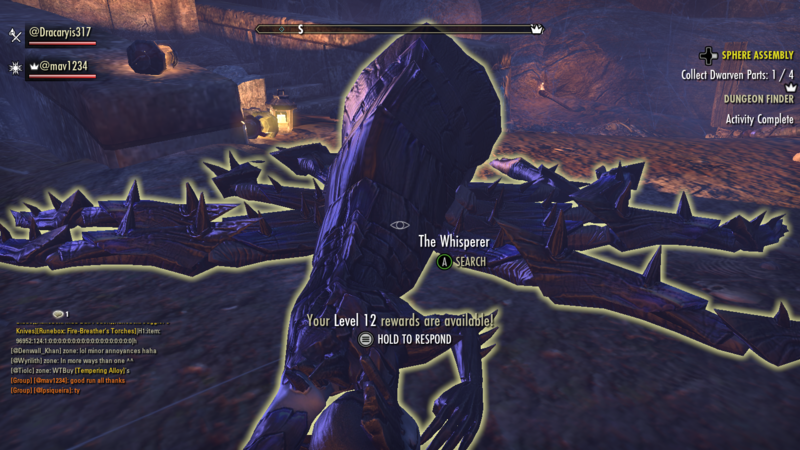 This is the support test competition for Elder Scrolls Online. A minimum of 20 unique participants in this competition is the requirement for it to pass as an acceptable supported game. This test competition is different from any I have run in the past. This time around, you will submit gaming activities through the gaming portal, just like you do for any regular gaming. The activity you need to use is listed under the PvE category and is labelled "New Game Support Test". Once you have that pulled up, just attach screenshots normally and click submit. I am considering two game modes for this test: Dungeons and Battlegrounds. For Dungeons, you must submit a screenshot that clearly shows everyone's name and the defeated boss. You can find the minimum acceptable standard here. For Battlegrounds, you will submit the event completion screen that clearly shows all participants. An example can be found here. 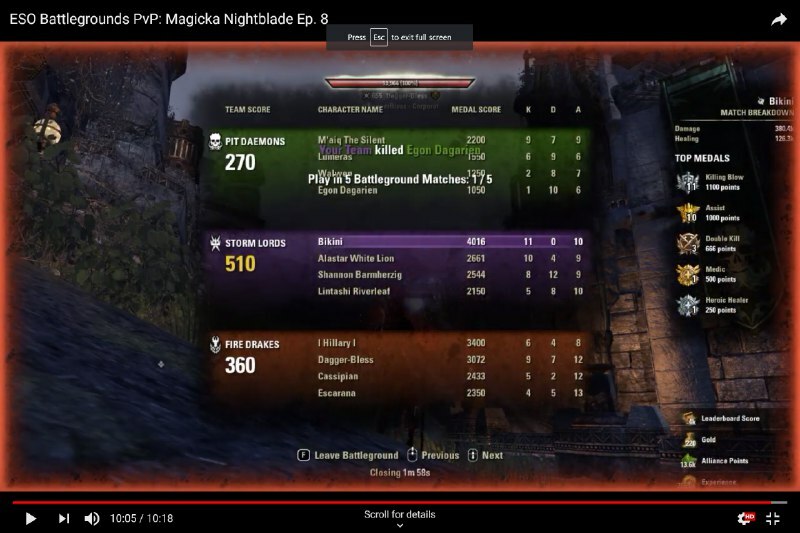 I am fully aware of the various overlays for ESO. The two above screenshots are with minimal overlay or no overlay active. As long as you clearly display the required information for either a dungeon or a battleground, the screenshot will count. Do not submit more than 10 screenshots per submission. Any more than 10 will result in a remand. You must have at least one other DB Member on your team. This will be a requirement if supported, so it is a requirement for the test. Do not double dip. Just like normal gaming, only one person needs to actually submit a screenshot. The submitter can add other players just like they would if submitting for a currently supported game. The member that participates in the most activities wins. This competition requires singular submission. All participants on a submission must have this competition selected. If one member does not have this competition selected, every member on a submission will lose out on points. Pay attention to this one, because I will not remand a submission if the submitter fail to do this. Good luck, and if you have any questions, feel free to ask on Telegram either in PM or in the DB Gaming room. 11 subscribers, of which 6 have participated.